PERFECT WEDDING at Olympia Resort! They just keep coming! 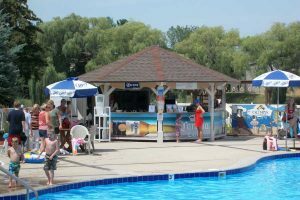 “Friday Night Fish Fry – Best in town. Salad bar, veggies and chowder, a big plus. Daisy was very pleasant. 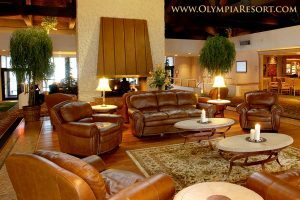 “I give Olympia Resort & Spa a 10-star rating. Most excellent customer service I have ever received. Candice is amazing and kind. All staff are wonderful and helpful – I am pleased. THANK YOU “X” 1,000,000! “I was there January 11-13, 2013 and the staff was fabulous and very accommodating! I would like to thank a few people from the Olympia staff that were pleasant: Jen, Michelle, Anthony and Candice from the front desk and Nici who delivered room service. Erica in Club Indigo was great and friendly. I had some requests and whatever I needed, the Olympia Team made sure I had it for my room to Rudy bringing me an extra set of room keys to get in my room. Their service was top notch! 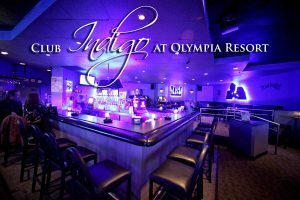 I stayed at Olympia Resort a year ago and it was great to see the improvements that included new carpet in the guest hallways, ballroom and guestrooms. Also, there were super comfortable beds, new comforters, new towels and new drapes. I just loved to be able to come back and see everything that was completed.